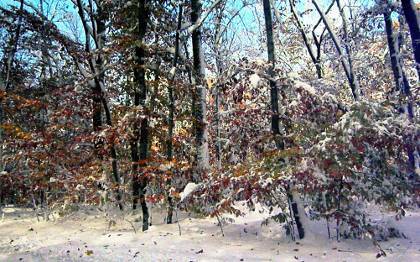 The October 29, 2011 snow storm will be remembered for many things; along with the misery of power outages, canceled and postponed events, the autumn snowfall turned a rather drab, post foliage landscape into a uniquely beautiful one. This photograph was made mid-morning Oct. 30 along the Tyringham-Monterey Rd. in south Berkshire county.